The rotator cuff is a supporting structure consisting of four muscles that allows the shoulder to move. It serves as a sleeve that enables the shoulder to rotate while remaining in place. Most sports players and athletes are prone to rotator cuff injuries, which are extremely debilitating, limiting and relatively slow to heal. Impingements and tears are the most common types of rotator cuff injuries. Physiotherapy is usually the first treatment option every health practitioner may suggest. Exercises targeting the exact location of your injury can help restore the strength and flexibility of your shoulder. Additionally, physical therapy is an important element of the recovery process in patients who undergo rotator cuff surgery. Our physical therapists might recommend an injection into your shoulder if the pain persists even after conservative treatment. Unless your condition demands, we always try to avoid steroid injections as they can potentially weaken your tendon. Different types of surgeries can help correct severe rotator cuff injuries. These include arthroscopic tendon repair, open tendon repair, tendon transfer and shoulder replacement for massive rotator cuff injuries. Aggressive therapy is recommended after surgery to promote faster healing and improve your condition. Minor rotator cuff injuries can heal on their own, with proper care and advice from our Armor physical therapists. Simple remedies such as resting your shoulder, limiting heavy lifting and avoiding painful movements can help subside your shoulder pain. You can also apply heat or ice on the affected shoulder to reduce pain and inflammation. 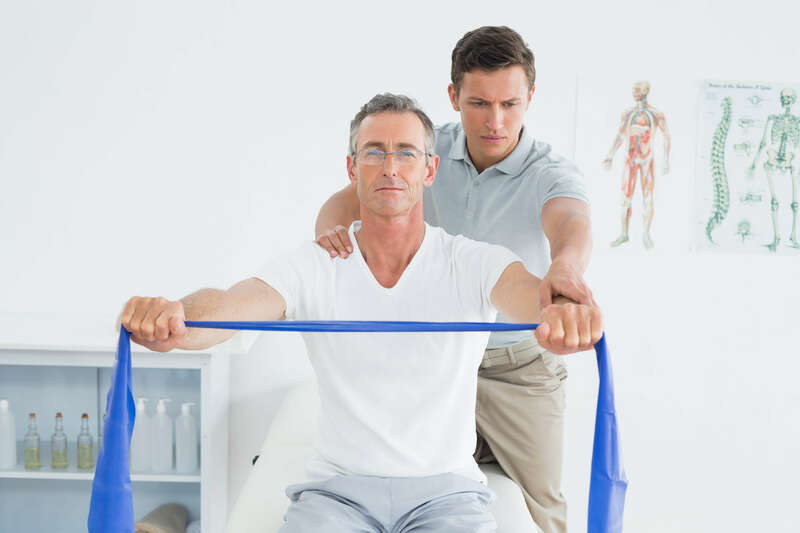 Our physical therapist will discuss your condition, goals, and training schedule to customize a treatment option that will help you return to work or sport. The outcome will be you performing at optimal power and agility, with the knowledge that a personalized treatment program by Armor Physical Therapy has minimized the risk of future injuries. The chances of recovering and reducing the risk of rotator cuff injuries and other types of shoulder pain are very high. Our physical therapists will help you regain normal function. As part of the rotator cuff injury treatment in Battle Creek, Michigan, we will also work with you to improve your shoulder strength and range of motion. Contact us today for more information on rotator cuff injury treatment in Battle Creek or to schedule an initial appointment.